Players don't need to be polite, take turns talking to the Xbox One. The Xbox One version of Kinect can detect and differentiate between multiple voices speaking at the same time, according to Microsoft VP Phil Harrison. Speaking at the Eurogamer Expo in London, Harrison explained that the Xbox One's new and improved motion control system can understand two distinct sets of voices, even when they're speaking at the same time. Microsoft new technology lead developer Nick Burton added that the Kinect will also detect whether players' mouths are moving, even in a dark room. 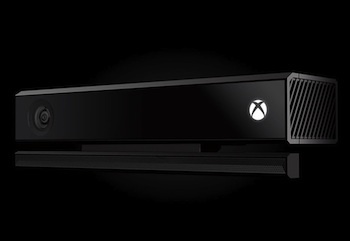 Microsoft has made it very clear that the Xbox One version of Kinect, which comes packaged with the upcoming console, will be a massive improvement over the first version of the peripheral. The Xbox One Kinect can detect 25 joints spread across as many as six people, calculate player heart rates and detect as many 1,400 points of articulation on their faces. The Kinect can also determine which people in the room are actively using the controller versus spectators. Even though the Kinect is technically not a required component of the Xbox One experience, third-party developers are looking into new ways to use the peripheral's new range of features, ranging from Harmonix' use of musical-gestures in Fantasia to head-tracking in Battlefield 4.